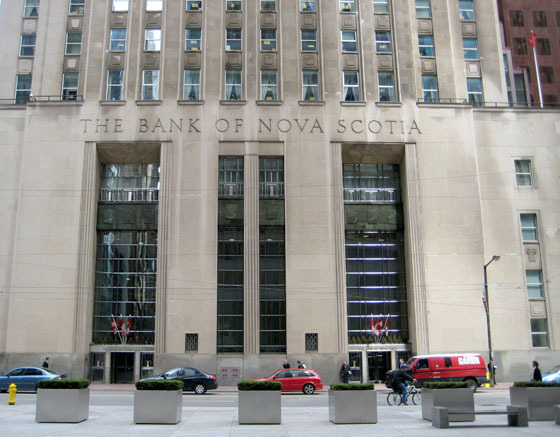 Construction for the 24-storey Bank of Nova Scotia headquarters (Scotiabank these days) began in the late 1920’s, was interrupted by the Great Depression, and finally finished in 1951. 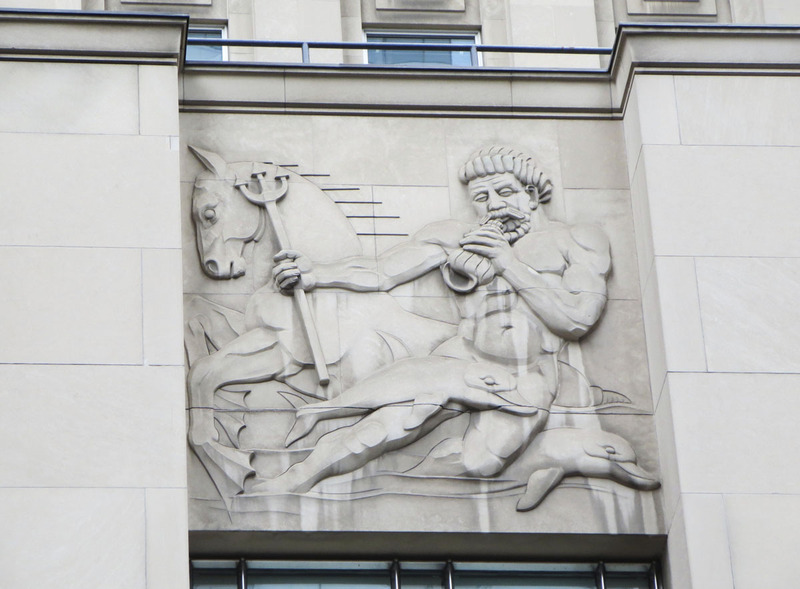 <PHOTO ABOVE – ca1949> Its facade depicts Canada’s flora, fauna, industry, historic events, aboriginal motifs and mythic figures. 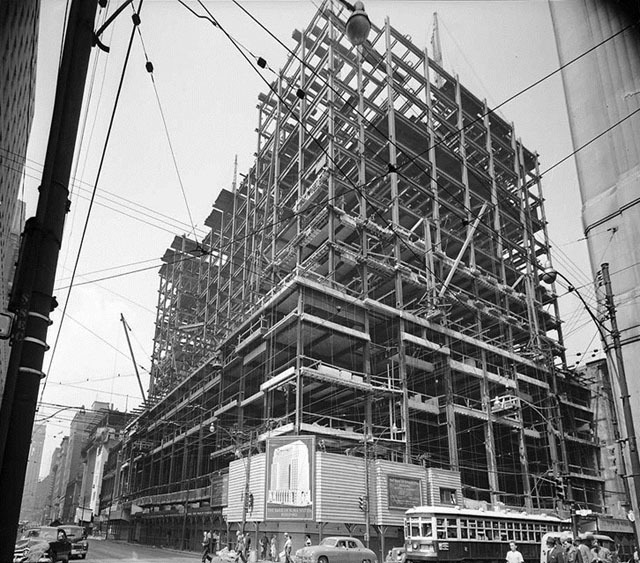 The original architect, John M. Lyle, also designed Union Station, the Royal Alexandra Theatre and the Runnymede Library. 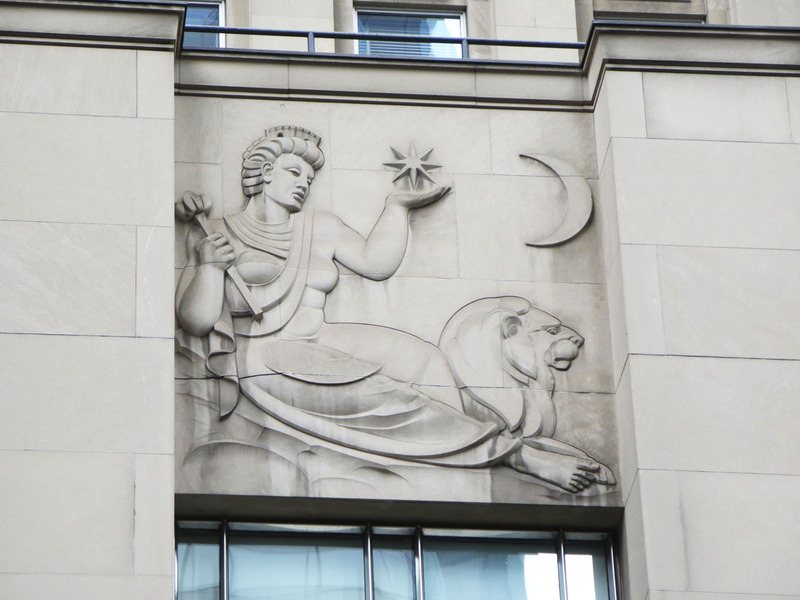 Unfortunately he died before the project was completed, but many of his Art Deco plans were incorporated into the building by his successors, Mathers and Haldenby.